1953. Oil on canvas board. 18x24in. SOLD. 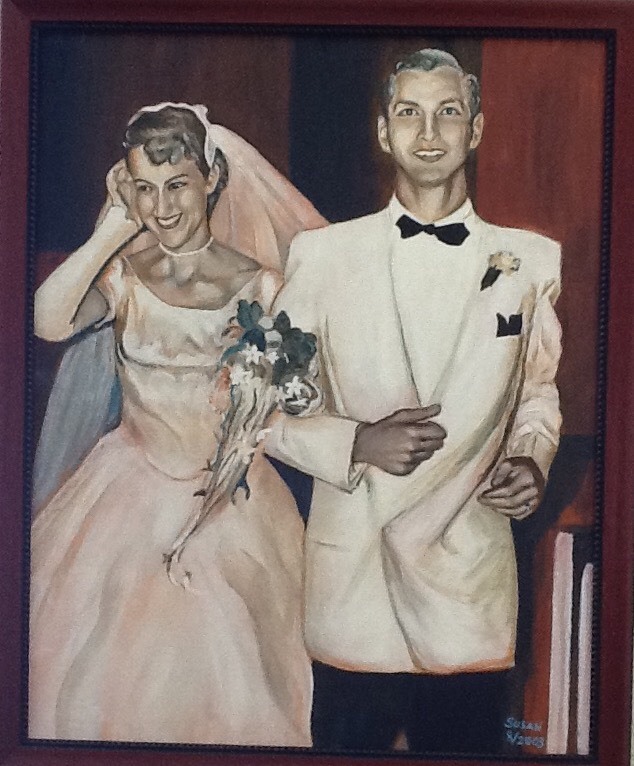 This was done from a small black and white photo of my parents taken at their wedding in 1953. I did this for their 50th anniversary. I believe it is somewhere in Wisconsin now.